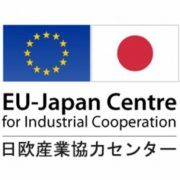 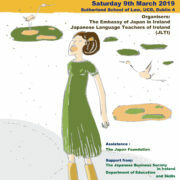 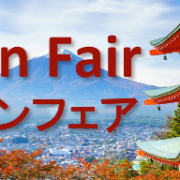 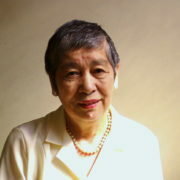 Ireland Japan Association Council Member Verity Swan who is also a Past District Governor of Rotary Ireland has shared an invitation with the members of the IJA to attend a Peace Event. 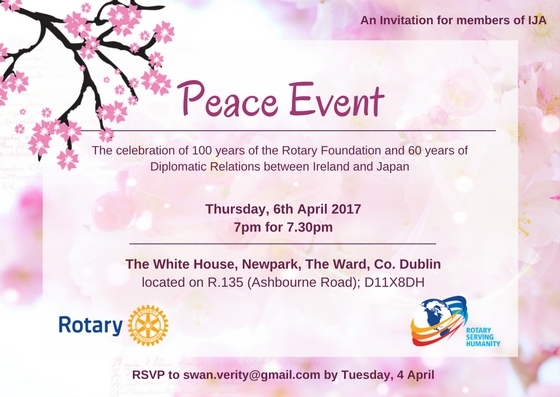 The Peace Event is a celebration of 100 years of The Rotary Foundation and 60 years of Diplomatic Relations between Ireland and Japan. 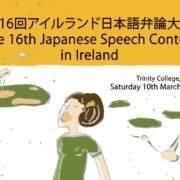 If members of the IJA wish to join the celebration, please RSVP to PDG Verity Swan by e-mail: swan.verity@gmail.com by Tuesday, 4th April.